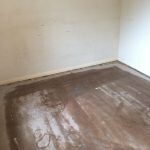 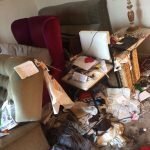 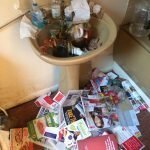 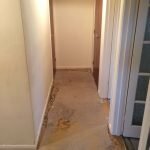 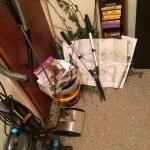 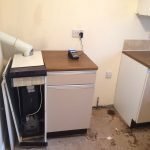 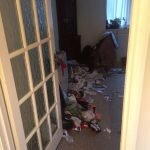 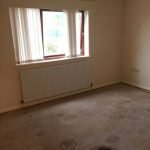 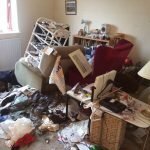 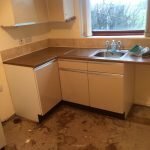 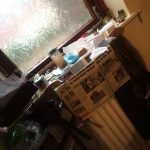 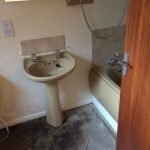 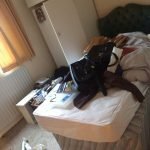 House Clearance Service In Mansfield Woodhouse Nottingham Mansfield Broxtowe. 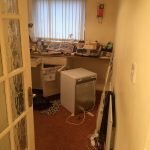 As well as clearing the usual furniture these small items will also need clearing – A brand new boxed Breville VHB067 500w black plastic hand blender and chopper, A brand new boxed impressions by Juliana photograph frame, A Bosch Combi drill and multi too set, A Bodum lime green egg cup and spoon, A brand new modern Jonathan Adler Frida vase, A oak cased simple grandfather clock, A brand new Next double duvet cover and pillowcases. 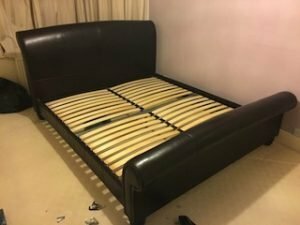 A black faux leather upholstered scroll double bed frame. 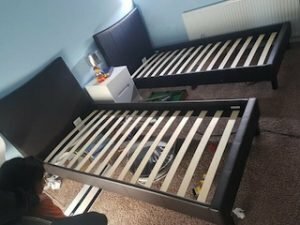 A pair of chocolate brown faux leather upholstered single bed frames. 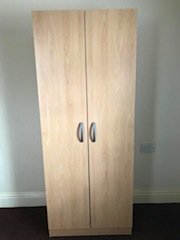 A tall standing beechwood double wardrobe with chrome handles, with shelving inside. 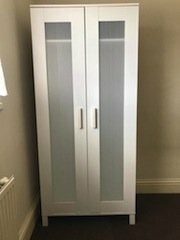 A white solid wood and frosted plastic Ikea double wardrobe, with a storage shelf inside. 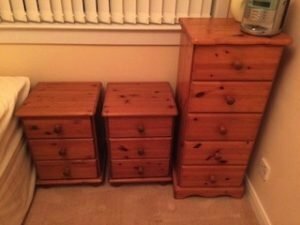 A three piece solid pine bedroom furniture suite, comprising a tall chest of drawers and a pair of bedside drawers. 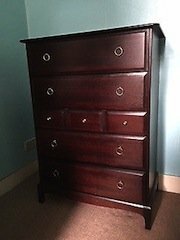 A vintage stag solid mahogany large chest of drawers, having four small over two large drawers, with brass handles. 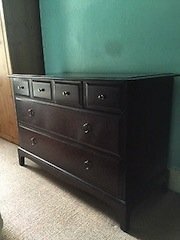 A tall solid mahogany chest of drawers, having two large over three small and two large drawers, with brass handles. 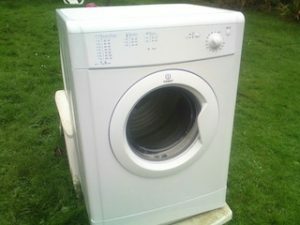 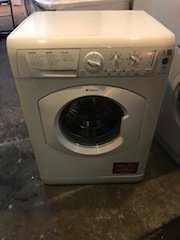 A white Hotpoint WML520 6kg under counter washing machine. 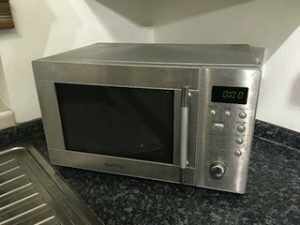 A Matsui stainless steel 600w microwave oven. 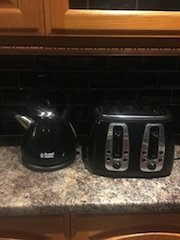 A black and stainless steel Russell Hobbs kettle, together with the matching four slice toaster. 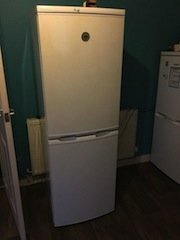 A white tall standing Zanussi two door fridge freezer. 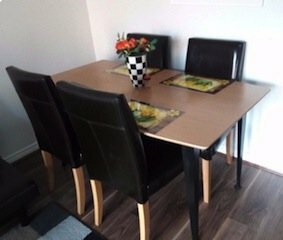 A vintage solid wood table on black legs, together with four high back dining chairs, upholstered with black faux leather. 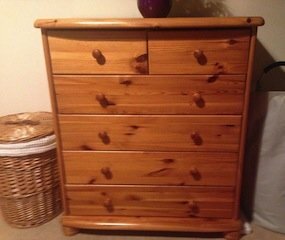 A tall solid pine bedroom chest of drawers on ball feet, having two small over four large drawers. 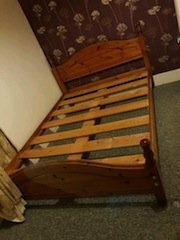 A tall standing solid pine double wardrobe, having one drawer to the base and shelving inside.